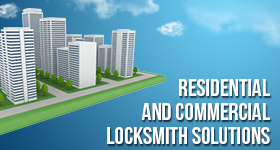 Our local company is a highly sought after residential locksmith in Uxbridge, Ontario. Every one of our qualified technicians has been thoroughly trained to properly address all aspects of residential lock and key service. We will provide exceptional installation, repair, replacement, and rekey service at your convenience. You can call us to administer service at your house or apartment and we will respond 24/7. When you need a dependable 24 hour locksmith, we are the team best prepared to meet your needs. At Locksmith Uxbridge, we believe in providing good old-fashioned service each and every day. Our technicians are friendly, helpful, and will always treat you and your home with the utmost respect. We stock quality brand name components in our truck and we always clean up after the work is done. Integrity and honesty are at the core of our business values. 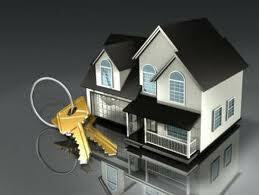 It is very important to us to be the residential locksmith our friends and neighbors can trust in the local community. Lock repair is one of our top priorities. When your home locks wear out or become damaged in any way, we will provide a cost-efficient solution. Our first goal is to always make a competent repair, but there are situations when a house lock change is in order. We will install high-security deadbolt locks that will enhance the security of your home. If you are concerned about key control, we will provide affordable lock rekey service for the locks on your home. By changing out the pins and springs, we will set the lock to use a different key. It is best not to replace locks that are in quality shape just because there are extra keys floating around. The rekey option is much more cost-effective. Our Uxbridge residential locksmith responds to administer quality service with urgency. Your home is your castle and you have plenty to protect. Reach out to our Uxbridge Locksmith for all of your home lock and key requirements.